WHAT'S UP? HOW COME THE RULES ARE DIFFERENT FOR MARIJUANA ADVOCATES THAN FAMILY COURT REFORM ADVOCATES? Today, activists went to the State Capitol to speak before the Law Committee about the legalization of marijuana. This issue is not really that interesting to me as much as the issue of freedom of speech. 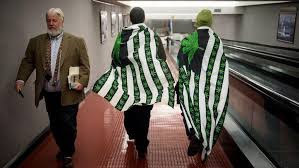 I am wondering whether people who spoke regarding this issue were required to remove all their pro or con marijuana political statements before providing their testimony. Does anyone have an idea? Were they made to feel like they were bad people for having their own opinions on a subject that mattered to them? It sure would be interesting to know. Please note the videos from the hearings on judicial reappointments where Judiciary Committee leaders forced citizens to remove their T-shirts. Why do you think there was a difference in treatment? 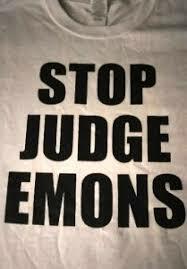 Is it possible they love Judge Emons more than they love marijuana? That's pretty hard to believe! Shouldn't these two groups be treated equally? What's up? THE ACLU OF CONNECTICUT IS INDIFFERENT TO THE CIVIL LIBERTIES OF AVERAGE CT CITIZENS! At the same time, Ms. Richter hired Attorney Daniel Klau who was the attorney for the "CT Law Tribune" and who was involved in the appeal of the prior restraint order. Attorney Klau is also a member of the Judicial-Media Committee which has played such a central role in mediating the relationship between the CT Judicial Branch and the Media. 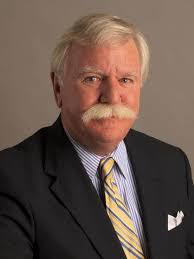 Some have proposed, including this writer, that through the Committee the CT Judicial Branch has imposed considerable undue influence on the Media and restricted the Media's ability to report on the CT Judicial Branch in a fair and impartial manner. Unfortunately, when she contacted the ACLU of CT, Ms. Richter received the same kind of run around that so many Connecticut citizens have experienced when they contact the ACLU regarding civil rights abuses imposed on them by the legal system itself. As one anonymous comment placed on an online website by a member of the CT Coalition for Family Court Reform stated, "It is a shame that the ACLU in this state [has] completely ignored and turned a blind eye to the rampant violation of civil rights, due process and civil liberties plaguing our state's broken and corrupt family, foreclosure, and probate court systems." This is a state of affairs that continues to exist at this time, much to the disgrace and shame of the American Civil Liberties Union of Connecticut which has a stated mission to fight on behalf of the constitutional rights of the citizens of the State of Connecticut. The first step Elizabeth Richter took to obtain help from the ACLU of Connecticut was to explain the problem on the online contact form that the ACLU of CT has available on its website. In return, on January 22, 2015 Ms. Richter received a letter stating, "Thank you for contacting the American Civil Liberties Union of Connecticut. Unfortunately, we are unable to assist you in this matter. We are a private, non-profit organization with limited resources. We can only accept a small percentage of the many meritorious complaints that we receive." Please understand that our inability assist you is not a judgment on the merits of your case. We simply do not have the resources to help." Oh, oh, oh, but you see, the ACLU of CT DID have the resources to assist the much bigger, much more mainstream, considerably well funded "CT Law Tribune"! What about that? As Elizabeth Richter explained in a response letter dated February 4, 2014, "I cannot afford the kinds of major legal fees that an enterprise such as the "CT Law Tribune" is able to marshal in its defense. Yet, I am facing an equally serious challenge to freedom of the press and freedom of speech which the "Tribune" is facing. In fact, what I am dealing with is much more serious, given that I do not have the same level of resources required to protect myself from being punished simply for exercising my right to freedom of speech and freedom of the press." In her final remarks, Ms. Richter asked, "Did you decide that my concerns aren't important because I am a small guy? If so, that would be unfortunate. But I am hearing more and more that his is what the ACLU-CT is like--only willing to defend people who are well connected and politically powerful." On February 6, 2015, the ACLU-CT intake department responded by saying "Your online submission references an attorney that represents you. If your attorney would like us to assist in a supporting role, please have him or her contact us." It further stated, "if your lawyer would like assistance on the matter, please have him or her contact us." It also stated it could not speak to Ms. Richter about the matter because she already had an attorney citing Connecticut Practice Book Rule 4.2, "A lawyer shall not communicate about the subject of the representation with a party the lawyer knows to be represented by another lawyer in the matter." Of course, when Elizabeth Richter was undergoing her divorce, and she was represented by an attorney, this did not prohibit her from consulting with other attorneys for a 2nd or even 3rd opinion about her case, and I don't believe Connecticut Practice Book Rule 4.2 is intended to preclude that option. Of course, I believe that the ACLU-CT sent her that doggerel to shut her up and get rid of her. Still, given that the ACLU-CT had advised her to approach their organization via her attorney, Ms. Richter then turned to her attorney to see if she could get him to obtain support from the ACLU-CT. Thus, on February 19, 2015, Elizabeth Richter contacted Attorney Daniel Klau by email and asked him to request assistance from the ACLU-CT stating, "I have contacted the ACLU and they tell me that they would like you as my attorney to contact them regarding this request...Is this something you think you could do on my behalf? I would really appreciate it." Attorney Klau did not respond. Therefore, after a week had gone by, Ms. Richter resent her February 19, 2015 email again on February 25, 2015 asking Attorney Klau, "Is it possible you could contact the ACLU for me? Let me know!" On that same day, Attorney Klau responded by saying "I will definitely contact the folks at the ACLU." On March 4, 2015, Ms. Richter still had not heard anything, so she sent another inquiry to Attorney Daniel Klau stating, "Tell me, was there any answer from the ACLU? How does it look?" Again, there was no response for another week. Then, on March 11, 2015, Elizabeth Richter received a response from Attorney Klau stating the legal director of ACLU-CT had left and that he was now talking to a Staff Attorney at the ACLU about my case. Then again, on Monday March 16, 2015, Attorney Klau stated he was still speaking to the ACLU-CT, in this email stating the name of his contact, Attorney David MacGuire. He stated that Attorney McGuire "was not familiar with [the] case, so I will bring him up to speed." Meanwhile, around April 6, 2015, Elizabeth Richter received additional subpoenas for a deposition and hearing in regard to the Foy case, to which Attorney Daniel Klau responded with a Motion to Quash. Upon being informed of this development, Ms. Richter responded to Attorney Klau with an email on April 7, 2015 asking the following questions, "What do our friends at the ACLU have to say about this situation? Would they be interested in helping me out with a little moral support, do you think?" Eventually, the deposition and court hearing was canceled because the Foys came to an agreement on May 8, 2015. In mid-June during their open call hours, Elizabeth phoned the ACLU-CT and complained that they had taken no action in her case. On June 30, 2015, Jeremy Shafer, a paralegal with the ACLU-CT, contacted Ms. Richter by email and stated, "I believe there has been a misunderstanding. Our January 22nd and February 6 letters to you stated you already had representation, and if your attorney would like us to assist him then he should contact us. Since he didn't contact us, we were unable to assist." As you can see, it looks as though there are three possibilities regarding what truly happened here: 1. Mr. Jeremy Shafer didn't investigate too deeply regarding Elizabeth Richter's case in order to discover what communications had taken place between Attorney Klau and the ACLU-CT; 2. Someone within the ACLU-CT is lying; or 3. Attorney Klau is lying. All these options appear to me to be within the realm of possibility when attorneys are involved. Following through, on July 1, 2015, Ms. Richter resent to Attorney Klau her April 7, 2015 email which asked Attorney Klau if the ACLU had responded to her request for assistance. Attorney Klau responded, "The local ACLU has a new Executive Director. Haven't met him yet. But he may be interested in the issue of protection for bloggers. Later that day, on July 1, 2015 Elizabeth Richter responded to Attorney Klau stating she would like him to proceed with working together with the ACLU to address the blogger issue related to freedom of speech. After that date, she never heard back from Attorney Klau regarding any additional followup steps he had taken in regard to the ACLU-CT. It is possible that when Elizabeth Richter chose Attorney Daniel Klau to represent her, an attorney who has spent a considerable amount of time as a member of a Committee that acts to enforce Connecticut Media compliance with the agenda of the corrupt CT Judicial Branch, this could have been a conflict of interest for Attorney Klau. Conceivably, it could explain his somewhat lackadaisical attitude. "The ACLU of CT defends, promotes, and preserves individual rights and liberties under the U.S. and Connecticut constitutions in state and federal court, the General Assembly and the state's 169 towns and cities." In regard to freedom of speech the ACLU of Connecticut website states, "We regularly stand up for students and other individuals whose right to free speech under the First Amendment is threatened, whether we agree with their views or not." So instead of using its organizational might to support Ms. Richter's work as an independent journalist and blogger, the ACLU-CT simply copped out, reneged on its mission, and told her to go do it herself. How much more ethically and morally bankrupt can you get than that? How can we understand what has happened here? First, what this means is that Elizabeth Richter, who continues to work as an independent journalist on behalf of the Divorce in Connecticut website, still remains vulnerable to any other lawsuits that may be launched against her. Naturally, this has had a very oppressive effect upon her right to express herself freely. It appears that while media powerhouses such as the "CT Law Tribune" can continue to bully their way around any topic no matter what the truth of it might be, journalists working on behalf of a modest blog such as Divorce in Connecticut still have to tiptoe around and live in fear of what might happen if they seek to exercise their constitutional rights and tell the truth about the corruption going on in family courts around the State. Second, we all need to be clear about the fact that the ACLU both nationally and locally is controlled by the powerful and corrupt legal system, and it is an organization that has lost its way, and couldn't care less about the constitutional rights of the average citizen.